Dental treatment, dentist services in Spain, Rojales, Torrevieja, dental procedures, dental implants, oral surgery, gum disease treatment, dental prosthetics. In the following paragraphs you can see which dental treatments we offer in our dental practice, so that you know what to expect from us! Do you want to combine your dental treatment with a holiday while at the same time saving money? In our dental practice in Rojales in Spain you can get high quality, affordable dentures. We offer excellent dental treatments in a relaxed atmosphere. 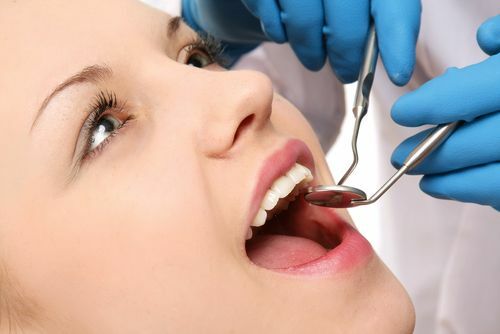 We recommend our patients to come for a oral prophylaxis treatment (professional dental cleaning) at least every six months in order to remove plaque. We also give you tips on how to clean your teeth correctly and encourage you to improve your cleaning techniques. As well as offering conventional implantology, we also provide computer-guided implantology, which allows us to plan the optimum position of each implant ensuring a perfect outcome. Professor Dr. Alvaro Farnós Visedo, a distinguished specialist in implantology, inserts all of our dental implants. He is a qualified professor in implantology in Madrid, Spain, and graduate from Loma Linda, California, one of the most renowned universities for implantology in the United States. He works quickly and precisely, ensuring that each implant is done to the highest standard. We offer permanently fixed dentures, dental crowns and bridges, predominantly made of metal-free materials like zircon (porcelain / ceramic). Depending on our patient’s wishes we also offer either removable dentures or, for a greater wearing comfort, fixed dentures. We also frequently use combined dentures, which are partially fixed and partially removable. Patients often decide on prosthetics for dental implants such as single tooth implants and implants for bridges or the entire jaw, in order to achieve a greater wearing and chewing comfort. Besides receding gums, bleeding gums, gum infection and in some cases even tooth loss, periodontitis bacteria can also cause other health related damage. These bacteria can be even more harmful than smoking, high blood pressure, high cholesterol levels or excess weight (see study). Therefore, we carry out tests for diagnosing periodontal diseases in collaboration with a Swiss laboratory. Thus, we can find out which bacteria are located in your gum pockets and target them specifically. Our prophylactic and periodontal treatments, together with the most recent procedures and fully trained staff, ensure the long-term success of our dentures. If tooth decay, also known as caries or cavities, has affected the tooth deeply, the dental nerve (pulpa) can get inflamed. This often leads to aggravating toothaches. In our dental practice in Spain we clean the insides of the root canals using specialized modern techniques (machine-based reprocessing and electronic length measurement) ensuring millimetric accuracy up to the root tip. We place a special emphasis on detecting all affected canals of the tooth. Our high success rate confirms that we constantly succeed in this. Functional disturbances and tensions of the jaw (like malocclusion or cross bite) can be straightened out with a functional jaw movement analysis. In our dental practice in Spain we use one of the most modern devices available to diagnose TMJ – the Zebris-System. We also use this system with new dentures to make sure they support a balanced jaw and fit perfectly. Wearing a therapeutic dental splint at night or during the day helps the patient to restore the harmonic and relaxed interplay of the mandibular joint and masticatory muscles. Therefore, he can experience permanent relief since the jaw musculature is relaxed.